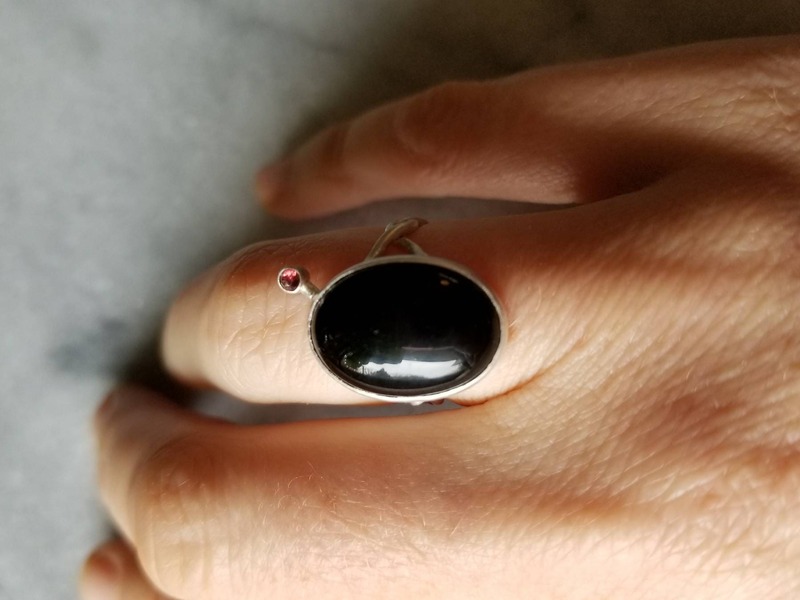 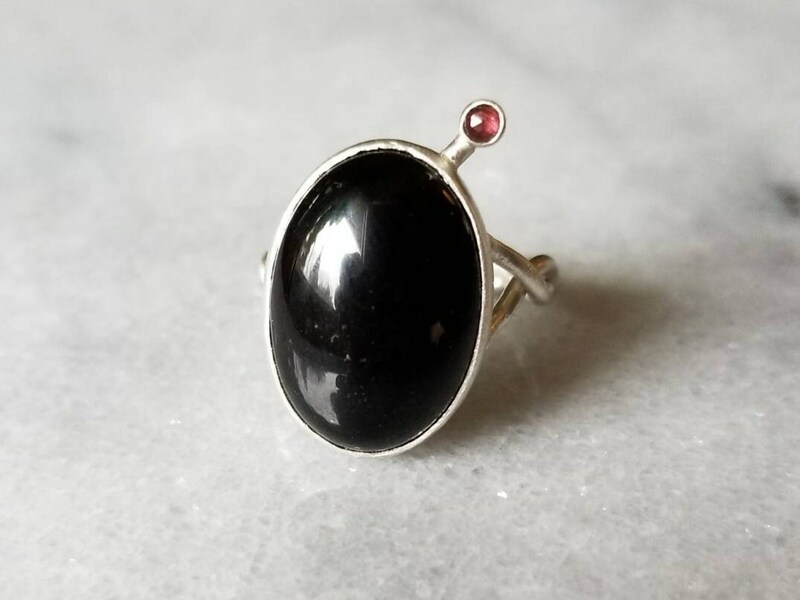 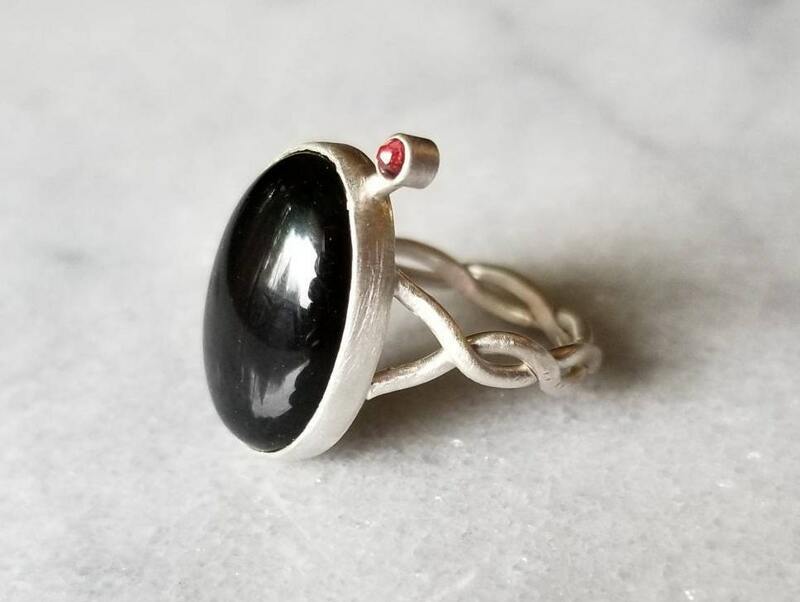 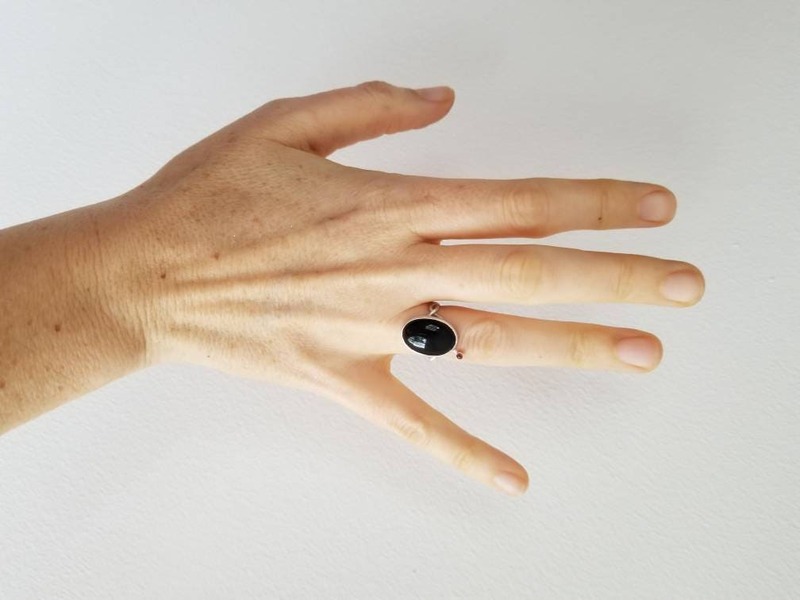 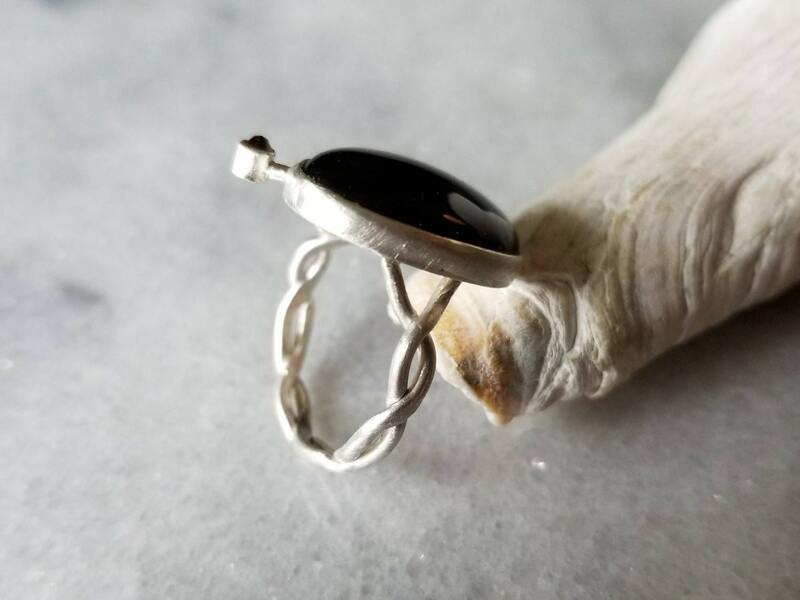 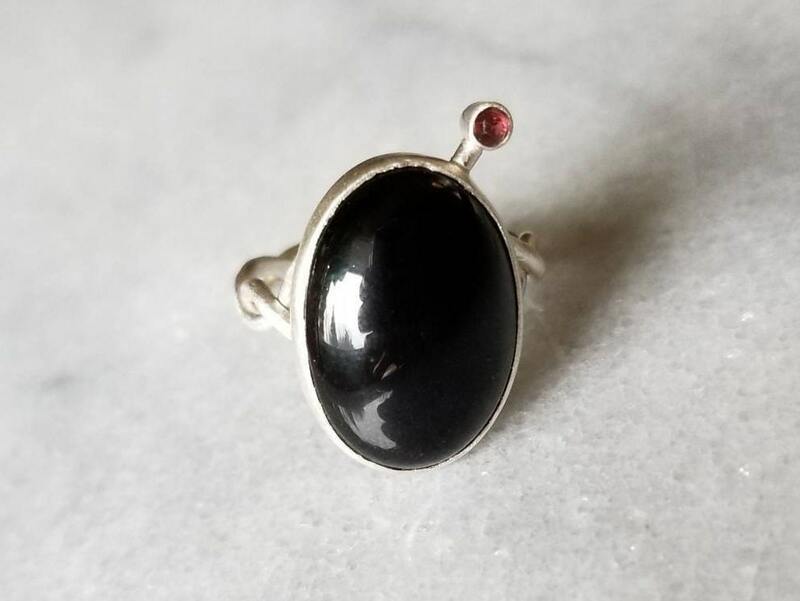 A sweet rose cut garnet orbits the beautiful rich black onyx. 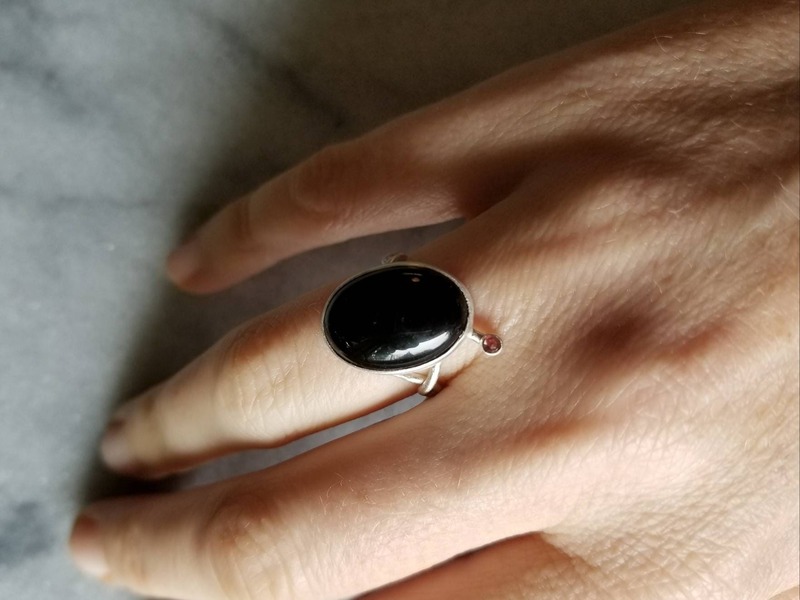 I have braided the band and gave this ring a subtle satin texture. 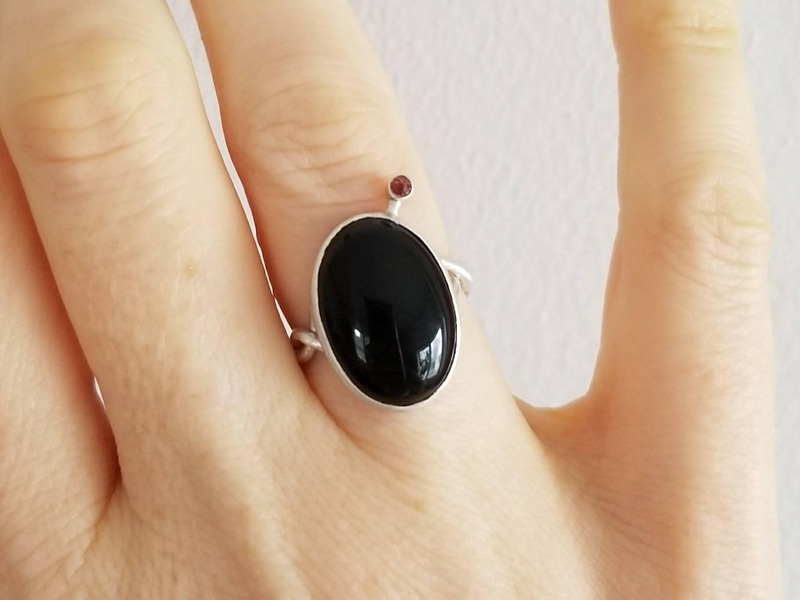 The purple red garnet is 2mm and the black onyx is 13mm by 18mm. 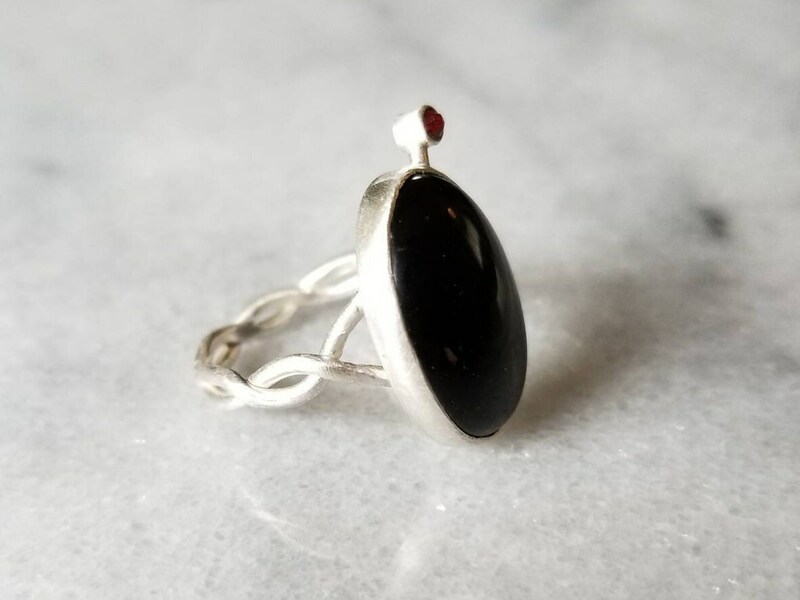 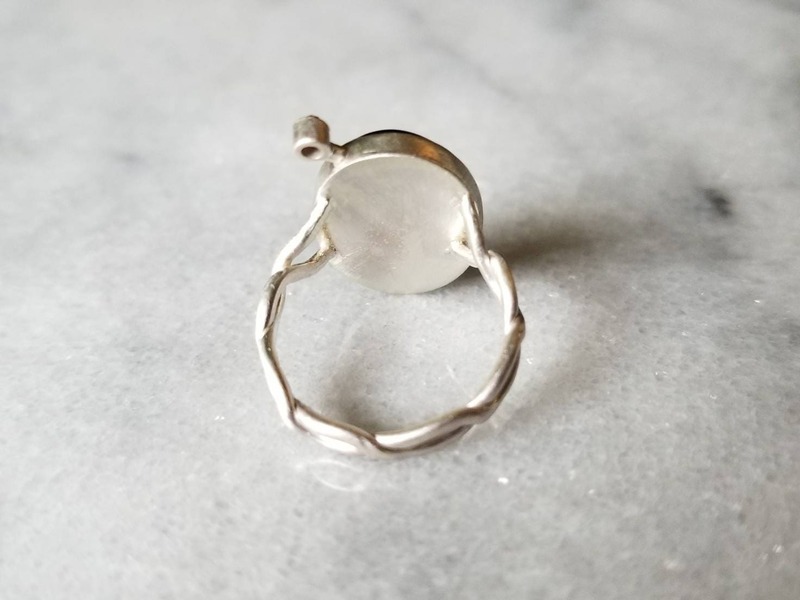 The ring is size 6 and one of a kind.